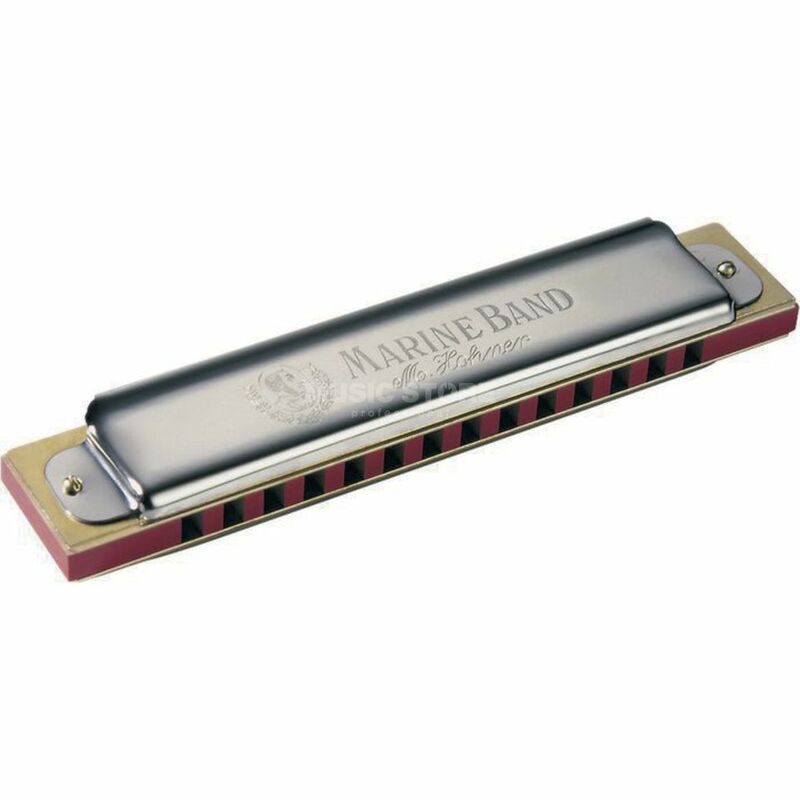 The Hohner Marine Band SBS C 28-Tone Harmonica is a 14-hole diatonic harmonica in the key of ‘C’. Designed by acclaimed harmonica player and scholar Steve Baker, the SBS offers extended tonal range and special tonal layout. In contrast to other Marine Band models, where the tonal range is simply extended upwards, this interesting model features a tonal range which is extended downwards by repeating the note configuration normally found in holes 1-3 one octave lower. This permits draw note bending over a far greater range and enables the player to use all registers of the instrument.